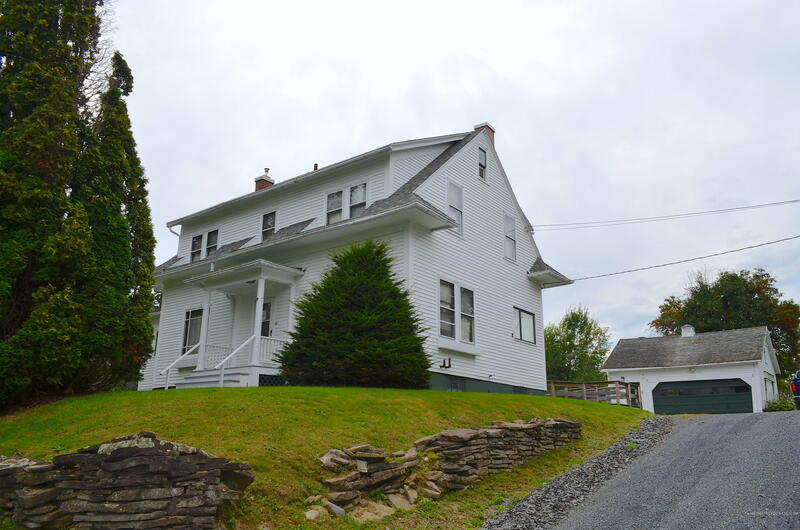 4 bedrooms, 1 full bath and 2 half bath colonial. All this on an intown 2 acre+ lot. Very unusual to have a2 acre acre lot intown. You will always know where your kids and the neighborhood kids are playing. Kitchen with plenty of cupboards and storage. Living room with a fireplace and dining room, there is HWF's under the carpeting. Front entry foyer, office room, mud room. Rec room in basement with a 1/2 bath. Home has had some updating, new roofing in 2013. 2 car detached garage. Easy to view.